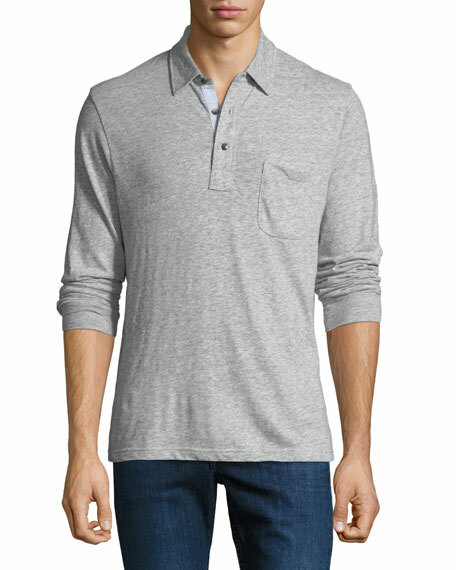 Loro Piana polo shirt in solid knit. For in-store inquiries, use sku #2493420. 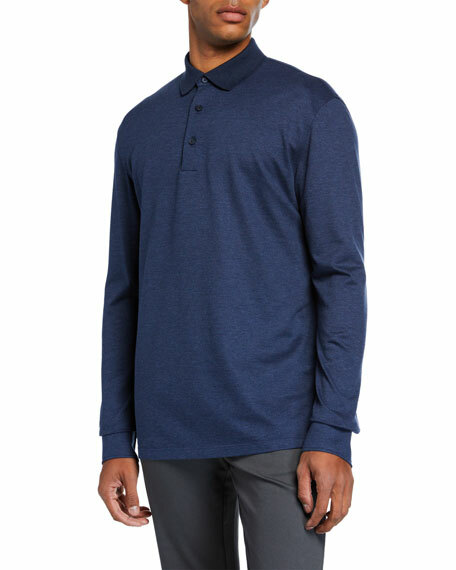 Ermenegildo Zegna polo shirt in lightweight knit. Spread collar; three-button placket. Long sleeves; barrel cuffs. Straight hem. Pullover style. Wool. Imported. 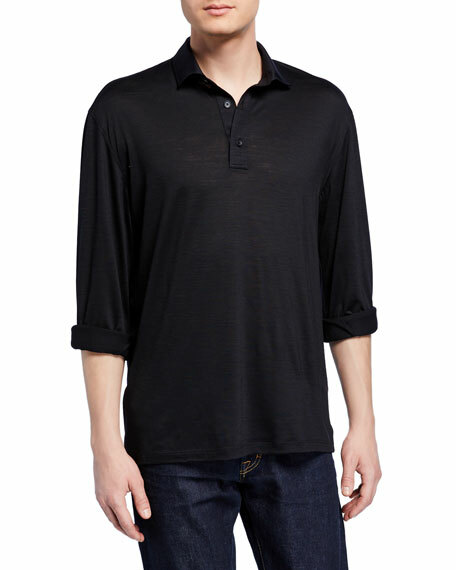 Ermenegildo Zegna polo shirt in textured pique. Spread collar; three-button placket. Long sleeves; barrel cuffs. Pullover style. Vented hem. Cotton. Made in Italy. Faherty "Luxe" heather long-sleeve polo shirt. Spread collar; three-button front. Patch chest pocket. Straight hem. Cotton/polyester. Imported. Loro Piana polo shirt in lightweight, garment-dyed baby cashmere. Approx. length: 23"L from shoulder to hem, 27"L down center back. Spread collar; three-button placket. Long sleeves; ribbed cuffs. Ribbed hem. Pullover style. Machine wash. Made in Italy.